I'm grateful to have been featured in the following places. Featured in Fortune as a "Millennial Motivator" on how to deal with self-doubt. 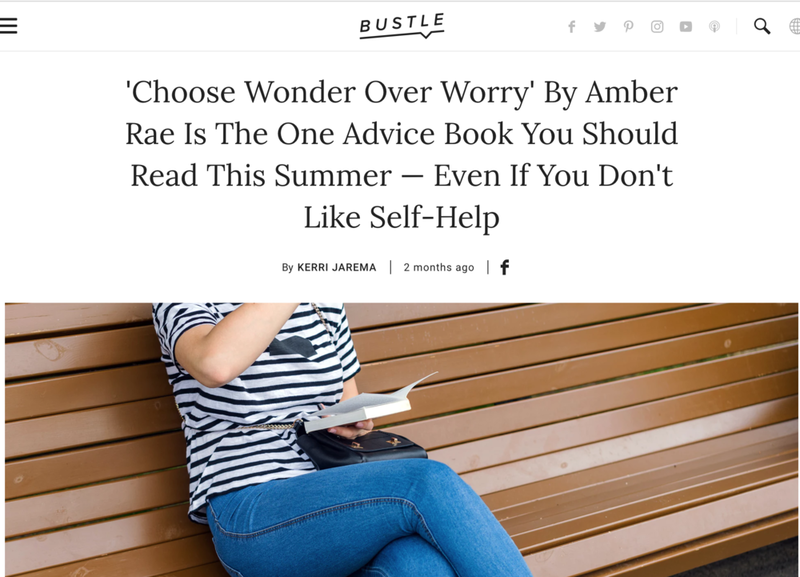 Choose Wonder Over Worry, called "the one advice book you should read this summer — even if you don't like self-help." I LOVED this in-depth, candid conversation with Krista and Lindsay about rewriting the B.S. stories we tell ourselves. In conversation with Sarah Peck, about how I moved through fear and worry to uncover my best work. "You need to learn how to start saying no to things you DO want to say YES to the things that matter even more." Choose Wonder Over Worry, featured on the cover of the UK's biggest mindful living magazine. "What Brené Brown is to vulnerability, Amber is to wonder: a real, living, breathing wonder-woman. A late night co-working group I co-created in 2010, called New York Nightowls, was featured on the front page of The New York Times business section, and ABC world news. 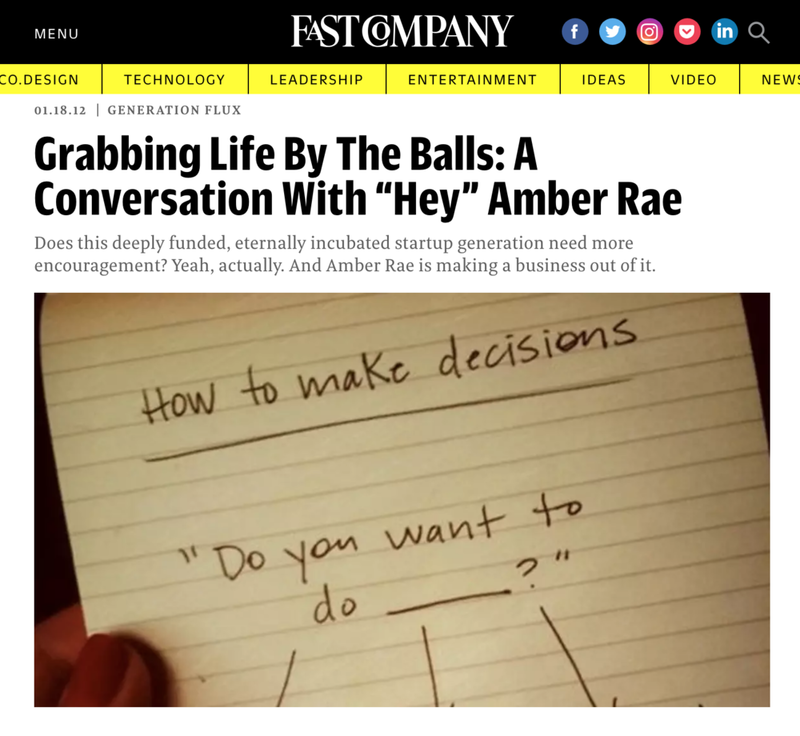 "Amber Rae embodies the voice of a groundswell movement among Gen Y-ers who grew up hearing “the sky’s the limit” from teachers and reading The 4- Hour Workweek in their dorms."